Lack of resources keep many rural residents from getting mental and emotional health care, With higher rates of depression and suicide among teenagers and older adults in rural America, this is a major concern, reports Debbie Morello of the Maryville Daily Forum in northwest Missouri, noting that this is National Mental Illness Awareness Week. Monday, Oct. 10, is World Mental Health Day. "There are people without means to get help, they have no money, no transportation and very few resources," Phil Graham, a psychologist with a part-time office in Maryville, told Morello, referring to the disparity between urban and rural availability of mental-health care. Lack of affordable insurance is another problem, as many private insurers have failed to keep up with mental health needs, Graham added. A Wisconsin judge has ruled that a family with a cow does not have "a fundamental right" to drink its milk. Circuit Judge Patrick Fielder in August ruled that Mark and Petra Zinniker could not sell raw milk through their private farm store. 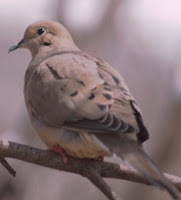 With the help of the Farm-to-Consumer Legal Defense Fund, they asked for a clarification notice, which "contains a strongly-worded denial of fundamental food and farming rights,"Rebekah Wilce of The Center for Media and Democracy's PR Watch reports. In his decision, Fielder wrote: "Plaintiffs do not have a fundamental right to own and use a dairy cow or a dairy herd; Plaintiffs do not have a fundamental right to consume the milk from their own cow; Plaintiffs do not have a fundamental right to board their cow at the farm of a farmer. . . . Plaintiffs do not have a fundamental right to produce and consume the foods of their choice." Fielder, who is planning to leave the bench, said he based his decision on the fact that the Zinnikers could not present a well-developed reason that consuming food of one's choice is a fundamental right granted by the U.S. Constitution. The ruling is being appealed. Pete Kennedy of the defense fund reports that raw-milk advocate Max Kane is leading a campaign to have the Wisconsin Judicial Commission investigate the judge's ruling. Kane's Raw Milk Party is again attempting to get the Wisconsin legislature to pass a bill to allow farmers to sell raw milk directly to consumers. Scrap metal thefts are not new to rural areas, but stealing an entire bridge may be. Pennsylvania State Police say a bridge 50 feet long and 20 feet wide bridge was dismantled and stolen in a remote wooded area of the rural North Beaver Township in Lawrence County between Sept. 27 and Oct. 5. Authorities believe a blowtorch was used to dismantle the bridge, which containing steel web decking and I-beam supports. A federal judge ruled Thursday that the Environmental Protection Agency does not have authority under the Clean Water Act to establish stricter standards for mountaintop removal coal mines, giving the coal industry a first-round win in what is likely to be an extended court fight. The ruling allows the agency's new guidelines to reduce water pollution from surface mining to remain in place, at least until legal arguments about that are heard next June. "EPA retains legal authority to veto or block key Clean Water Act permits that mining companies need for new mountaintop removal operations,"Ken Ward Jr. of The Charleston Gazette reports. In his ruling, District Judge Reggie Walton of Washington, D.C., said the agency "exceeded its Clean Water Act authority" by creating the new reviewing process for "dredge-and-fill" permits issued by the Army Corps of Engineers and by creating an assessment procedure to decide which mining permits needed more review. Walton said the EPA has an "oversight role" but went too far. When the EPA started issuing new permit reviews last year, the National Mining Association, the West Virginia Department of Environmental Protection and the governors of Kentucky and West Virginia filed a joint lawsuit to challenge the EPA's decision, claiming the agency had started a "war on coal." While the industry uses mountaintop removal because it's efficient and local and state leaders tout the jobs it creates, there is growing consensus the practice causes irreversible damage to forests, water quality and communities, and that a recent scientific study links higher rates of cancer, birth defects and other illnesses to those living near mountaintop removal sites, Ward reports. Open Range Communications, which was created to provide broadband to rural areas and received one of the largest loans ever made by the Department of Agriculture, "laid off over half its workforce and accepted its CEO's resignation, moves that put yet another hold on extending broadband services nationwide," Sandy Fitzgerald of Mobiledia reports. The company operates in nearly 150 markets in 12 states. It "will continue providing WiMax service to existing customers but isn't accepting any new ones," Fitzgerald writes. The company "struggled to attract customers with its data-only WiMax service, marking about 20,000 subscribers earlier this year." The company "is reportedly up for sale" and has not said how it will repay "nearly $300 million from the Rural Utilites Service" of USDA, Fitzgerald reports. "Alabama's strict new immigration law was touted as a job creation bill, a way to force illegal workers out of jobs and open them up for legal residents. Early indications are the plan is backfiring," Phillip Rawls of The Associated Press reports. Meanwhile, the law is making Hispanic students vanish from Alabama schools, AP's Jay Reeves reports. Update Oct. 10: John McMillan, commissioner of the Alabama Department of Agriculture and Industries, suggests the state's worker release program for inmates may be a short-term solution to replace fleeing Hispanic migrant workers, Mackenzie Weinger of Politico reports. 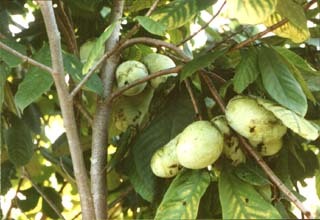 Neil Petersen tells National Public Radio's Allison Aubrey that after tasting his first pawpaw 35 years ago, he had a "revelation" that the wild fruit found mostly in the Eastern U.S. was just as good as a peach or apple and should be bred and commercialized in a similar way. Shortly after this experience, he began his life's dedication to the pawpaw, and now several orchards are growing his trees and selling his version of the fruit in farmer's markets. Farmers are having trouble finding willing Americans to help harvest on their farms through the agricultural visa program known as H-2A. The program allows workers from Mexico to enter the country seasonally to work and fill the gaps made because Americans who are willing to work on a farm are hard to find. Kirk Johnson of The New York Times reports that the minimum wage in the program has risen to $10.50 an hour and because of that and the stagnant economy farmers can't afford to bring in enough people from Mexico to harvest. Some, like Colorado corn and onion farmer John Harold, thought they'd hire locals. However, he told Johnson that after six hours work in one day, most of the locals quit. Some left during lunch and never came back, others claimed the "work was too hard." The H-2A program was designed to encourage farmers to hire locals as a way to avoid displacing them, and requires them to advertise their job openings in three states. Johnson reports this places great risk on farmers who have to guess the proper local-to-foreign worker ratio with their whole season's revenue at stake. Most think the program needs to be reconsidered to address this issue, including Texas Rep. Lamar Smith, who supports a bill that would increase the number of guest workers admitted to the country every year. The boss of Hallmark Cards Inc. has written an opinion piece urging Congress and the U.S. 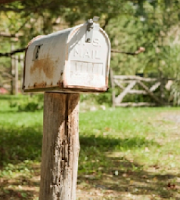 Postal Service to shelve plans to end Saturday mail delivery, and to address the federally chartered corporation's budget problems by first tackling its "significant underlying organizational and operational issues." "Cuts in delivery service should be last on the list of considerations," Donald Hall Jr. writes. "The dual strategy of raising rates while cutting Saturday delivery is no way to sustain customer loyalty or encourage use of mail. It also overlooks the dependence many — including small businesses and rural customers — have on six-day delivery." Hall notes that the Postal Regulatory Commission said that the USPS estimate of savings by ending Saturday delivery was about double the what the commission estimated, and found that "Customers in rural and remote areas would be especially hard hit because their mail delivery would take longer, and that small businesses and other first-class mail customers who depend on timely delivery would be affected far more than bulk mailers." The commission advised USPS that it should not eliminate Saturday mail without more research of the rural impact, essentially endorsing the testimony that the Institute for Rural Journalism and Community Issues gave the commission. Hall concluded, "The solution to the financial crisis will not be found in failing to adequately serve small towns in remote areas. " His article is available here from the National Newspaper Association, the lobby for community newspapers, which offers it as an editorial. Meanwhile, Senate Finance Committee Chairman Max Baucus, D-Mont., a member of the deficit-reduction "super committee," has introduced legislation to ban USPS from closing rural post offices if they are at least 10 miles from another office, The Hill reports. Since President Obama created the council in June, members have traveled the country visiting rural communities and conducting a series of "roundtable discussions." As its co-chair, Agriculture Secretary Tom Vilsack, wrote at the start of the report: "Through these visits, the Council has been listening to the voice of rural Americans – to their concerns and aspirations, to what they see as the challenges that lay ahead and the opportunities open to them." UPDATE, Oct. 19: Paul dropped his hold on the bill after getting agreement to "an amendment that would commit the government to requiring pressure tests or something equally effective on older lines," Jaxon Van Derbeken of the San Francisco Chronicle reports. The New York Times reported recently that pipeline regulators give short shrift to rural areas. Jim Carroll, Washington correspondent for The Courier-Journal of Louisville, reports the reauthorization bill includes new safety measures prompted by several pipeline accidents, like one in San Bruno, Calif., last year that killed eight people. About 40 pipeline accidents have occurred every year since 2006, causing injuries and fatalities. Paul says the new bill "puts in place new mandates," "hires new bureaucrats" and "grandfathers in the very pipelines that have had recent problems." He said the bill will not truly address issues that hinder pipeline safety. 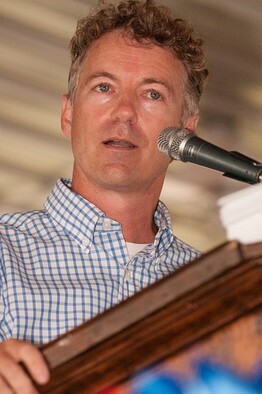 Carroll reports it's not the first time Paul has slowed legislation by himself; he held up provision extensions in the Patriot Act earlier this year and on Monday, blocked a bill that would provide millions in benefits to elderly and disabled refugees. "My mother is one of 675,337 Tennesseans age 18 and older who, according to the Department of Safety, either have no driver's license or have a license that does not carry their photo," and his mother's birth certificate has been misplaced so she will have to go through rigamarole and expense to get one before she can get a photo ID, writes Herron, a Democrat from Dresden. Before this year, only two states had photo-ID laws. A Brennan Center for Justice study indicates that the new laws will make it harder for rural, poor, elderly and minority voters to cast ballots next year. 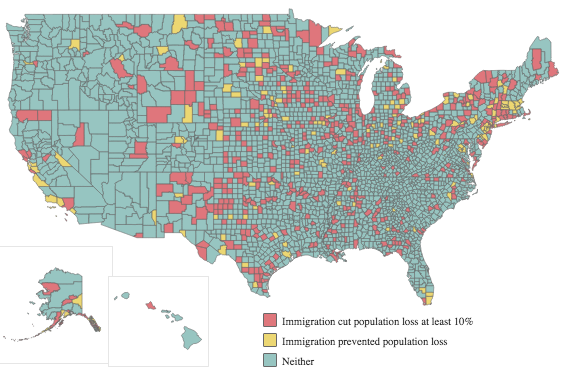 the researchers estimate that 5 million voters will be negatively affected. Democrats fear the laws will discourage, or block many voters, especially those in groups that vote mostly Democratic, from voting. The overall impact is still in dispute, and Republicans say laws are necessary to prevent voter fraud, but examples of voter impersonation are hard to find the Times' Michael Cooper reports. The Brennan Center says impersonation fraud at polling places is "extremely rare." A recent policy brief out of the University of New Hampshire's Carsey Institute focuses on challenges faced by rural families who get cash assistance from the Temporary Assistance for Needy Families program. Authors Jessica Bean, Leif Jensen and Marybeth Mattingly found that even though rural poverty continues to grow, TANF usage in rural areas remains low. The authors contend that while cash assistance from TANF helps low-income families, it does nothing to end poverty because the benefits do not meet the need and will do little to help families overcome the "poverty threshold." They say that the positive effects of TANF are not as common in rural areas, and that positive impacts that do happen in rural communities continue to decline with time. From the brief: "TANF is an important component of poor families' budgets. However, in its current form, it is insufficient; strengthening TANF would help alleviate some material hardship in the lives of America's neediest citizens." The authors write that the upcoming reauthorization of the program offers an opportunity to evaluate its strengths and weaknesses. They suggest that America's rural poor should not be forgotten in the process and that differences in positive impacts of the program between rural and urban poor should be acknowledged. They also write that TANF emergency and contingency funds should be re-established and the supplemental grants reconsidered. Nitrates are contaminating tap water in the San Joaquin Valley and farmers are being blamed. As the nation's largest dairy county, Tulare County generates more untreated animal waste than all the people in Los Angeles, the regional director of the San Francisco-based nonprofit advocacy group, Food & Water Watch told Mark Grossi of McClatchy Newspapers for a package of stories on the problem. Thomas Harter, leading groundwater scientist at the University of California at Davis, believes nitrates may come from animal manure, but also suggests fertilizers as a contributor. Farmers are being blamed with no proof, Tulare County Supervisor Allen Ishida, a longtime citrus grower near Lindsay, told Grossi. "If it's my fertilizers that are causing this problem, then we'll adapt," Ishida said, welcoming a full investigation of nitrate sources. Scientists are trying several strategies to help save forests, Gillis reports. They've suggested that counties with more wealth should pay people in tropical areas to stop destruction of forests for agriculture and logging. 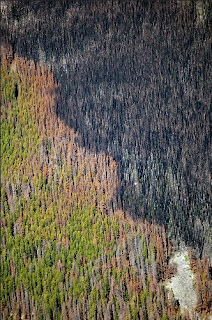 Another plan is to thin out forests in the American West to prevent the spread of parasites and fires. Both ideas are stalling due to lack of funding. Tropical forest researcher Oliver Phillips told Gillis, “I think we have a situation where both the ‘forces of growth’ and the ‘forces of death’ are strengthening, and have been for some time. The latter are more eye-catching, but the former have in fact been more important so far.” To see an interactive map showing forest decline around the world, click here. A multidisciplinary team of University of Kentucky researchers will examine local economic development organizations in Appalachian Kentucky for two years to help them "work together to identify new pathways toward local and regional prosperity," a UK news release says. Funded by a $485,000 grant from the National Science Foundation, the study will cover the 54 Kentucky counties classified as "Appalachian" by Congress for service from the Appalachian Regional Commission. The counties include "a few hundred economic development organizations," ranging from entirely governmental to civic groups to nonprofits to entirely private entities. The study's principal investigator is Wally Ferrier, an endowed associate professor of strategic management in UK's Gatton College of Business and Economics. The co-PIs are Evelyn Knight, a professor in the College of Public Health and former director of UK's Appalachian Center, and Steve Borgatti, an endowed chair of management in the college an internationally recognized researcher of business networks "We are particularly interested in how EDOs can collaborate with each other to help them derive the maximum from their operations," Borgatti said. Other researchers on the project represent the colleges of education and social work, the Department of Sociology and the Department of Community and Leadership Development in the College of Agriculture. The Choctaw Sun-Advocate in southwest Alabama has started on online radio station, and it has been so successful so quickly that advertising sales have already paid for the equipment, uploading expenses and licensing fees, Publisher Tommy Campbell told AlaPressa, the monthly newsletter of the Alabama Press Association. "We've already sold more than $6,000 in ads and sponsor fees," Campbell said in late August, about a week after the launch. By mid-September, Ala Pressa reports, the station "had already drawn listeners from 37 foreign countries and 40 states, he said. . . . The station plays classic rock from the 5,000 songs Campbell has downloaded from iTunes, and it plays a variety of Christian music and church programming on Sundays. It also features local and state news and weather, calendar of events, online classified ads, public affairs programming, local obituaries and more," including warnings of severe weather. "I definitely think it's something that smaller papers could benefit from," Campbell told AlaPressa, which reports, "Listeners who don't want to go through a computer can buy an Internet radio receiver for less than $80." The station is at www.live365.com/stations/sunliteonline. The Economic Research Service of the U.S. Department of Agriculture and the Ford Foundation are hosting a National Conference on Rural Wealth Creation and Livelihoods in Washington, D.C. 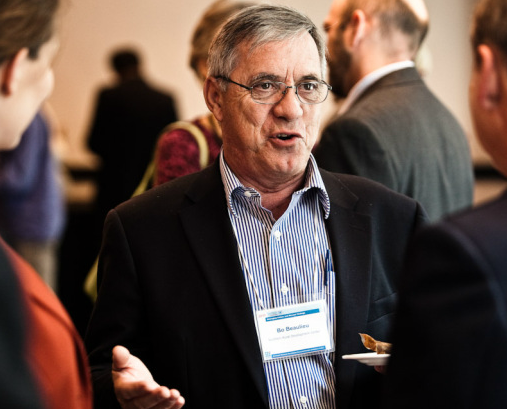 The attendees include more than 170 rural development specialists, policymakers, researchers and other stakeholders from all regions of America, such as Lionel "Bo" Beaulieu, above, director of the Southern Rural Development Center at Mississippi State University. From a press release about the event: "Fostering wealth creation that leads to improved livelihoods in rural America is a top priority for USDA and for many regional, state and local research and development initiatives." Throughout the conference, participants and speakers will attempt answer such questions as: What do "wealth" and "wealth creation" mean? What works, where, and why - or why not - to promote wealth creation that improves rural livelihoods? How can regional policies and programs contribute to wealth creation that sticks in rural areas? How can we measure rural wealth creation progress, maintenance and outcomes? Organizers also hope the conference will develop "practical, results-relevant dialogue" to initiate action in communities around rural wealth creation and livelihoods. The event runs through Wednesday and is by invitation, but organizers are sharing information and discussions on the conference networking site, which features conference presentations, dialogue highlights, blogs and opportunities for comments and questions here or at http://ruralwealth.org. As a way to balance budgets in a down economy, several states have cut direct funding for local governments in the past several years, leaving local officials searching for ways to balance their own budgets without millions of dollars on which they've previously depended. Rob Gurwitt reports for Stateline that some states have capped local property taxes, limiting the amount of money cities, counties and towns can raise. In some cases, lack of funding has forced local government officials to lay off up to 10 percent of their employees, cut police forces, stop paying firefighters overtime and try to get hospitals to take on ambulance services, Gurwitt reports. Other local officials have closed down parks and recreation departments, libraries and public works. Some have raised taxes and fees; Lincoln, Neb., has imposed a "wheel tax" on every vehicle in the city. To see an infographic detailing what funds have been cut from several states, click here. In August 2011, the rural unemployment rate, 8.8 percent, was below the national average of 9.08 percent and the urban average, 9.2 percent, Bill Bishop of the Daily Yonder reports. More than six out of ten rural counties reported rates below the national average. Most with low rates were in the Mountain West, the Upper Midwest or New England. The rural South and the West Coast again had the highest rates. To see unemployment rates for urban, rural and exurban areas of your state, click here. In the past, farmers might have had one or two pigs go missing, "but now, it's different. 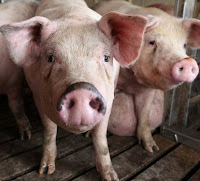 This isn't about putting food on the table," Ryan Bode of Rebco Pork, who had 150 pigs taken, told Davey. Investigators suspect the pig thieves unloaded the pigs at meat-processing plants, affiliated "drop-off" facilities or sold them at auction, Davey reports. Marc Chadderdon, an investigator for the Nicollet County Sheriff's office, believes "someone in the business somewhere has the answer as to who's doing this." Americans are very unhappy with Congress, and to a lesser degree with President Obama, but have much more confidence in their local and state officials' ability to handle local and state problems, according to the latest Gallup Poll, conducted Sept. 8-11. An advocacy group for urban schools is helping 16 rural districts in New Jersey sue the state over cuts in their funding. The Education Law Center says the districts should get "nearly $19 million more than the $131 million they will get in the budget for this school year," Lisa Fleisher reports for The Wall Street Journal. "They've had to cut teachers, they had to cut programs, they have had their class sizes go way up, they've had to cut bus routes, they've had to privatize staffing like cafeteria workers and bus drivers," Frederick Jacob, a lawyer representing the districts, mostly in southern New Jersey. Their case is based on 31 urban districts' successful challenge, with the center's help, to cuts Gov. Chris Christie made to avoid raising taxes. "Jacob said the rural school districts he represents can't raise taxes to fill in the gaps in funding, because property in town isn't worth enough," Fleisher reports.